← New Year, New Base! 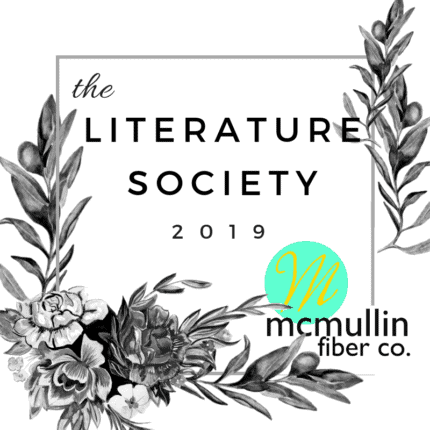 Signups for February’s installment of the McMullin Fiber Co. Literature Society are open! 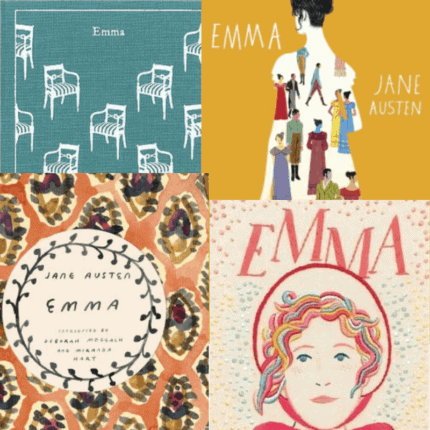 Recipients of this package are going to feel a bit like Harriet Smith because a genuine lady like Emma deserves a yarn that is ultra luxurious. And this month’s extra? 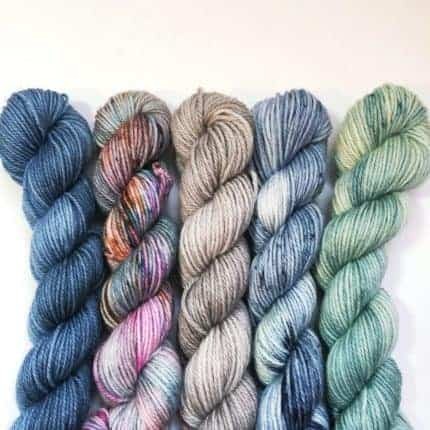 Let’s just say if you love yarn you’re going to love this extra, which is basically everyone signing up, so I think you’re going to be thrilled. Join us as we bask in Emma’s glow and try not to get burned. Signups will close the February 5. 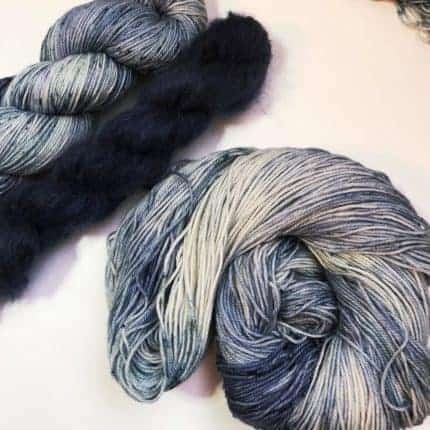 In other Lit Society news, we have skeins inspired by Meg and Jo March in the shop now, and the other March sisters will follow. 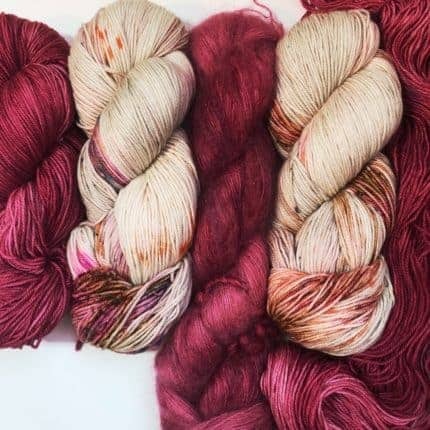 Each of our next few shop updates will introduce a new sister, plus a skein inspired by Mrs. March (Marmee). 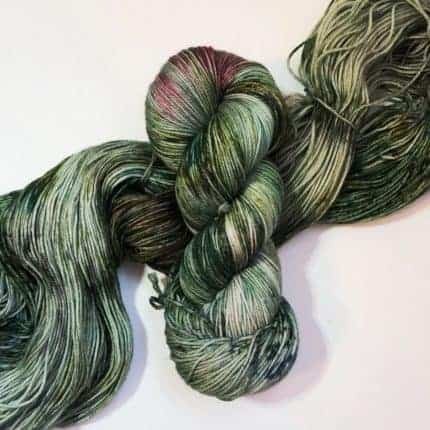 Jo’s color way is a rich green inspired by long walks in the forest around her childhood home as her mind furiously works through a difficult bit of a story she’s writing. Deep and light forest greens plus hints of deep pinks and grays. We also added a new collection to the shop this week – the Creative Retreat Collection, inspired by desert getaways for artists of all types. The mini set includes Denim, Aura, Potter’s Clay, Water’s Colors and Agave. There are full sized skeins of most colors available in the shop now. As much as we love the snow here in Ohio, we could go for a break around now so we’re using this as an excuse to imagine ourselves somewhere warmer this month!